Heat oil in a large, deep skillet over medium heat. Add onion and cook, stirring frequently, until softened, about 6 minutes. Stir in curry paste and cook for 30 seconds. Stir in coconut milk, sugar and salt, stirring until curry is dissolved, and bring to a simmer. Add fish, cover the pan and simmer for 3 minutes. Carefully stir in spinach and fish sauce. 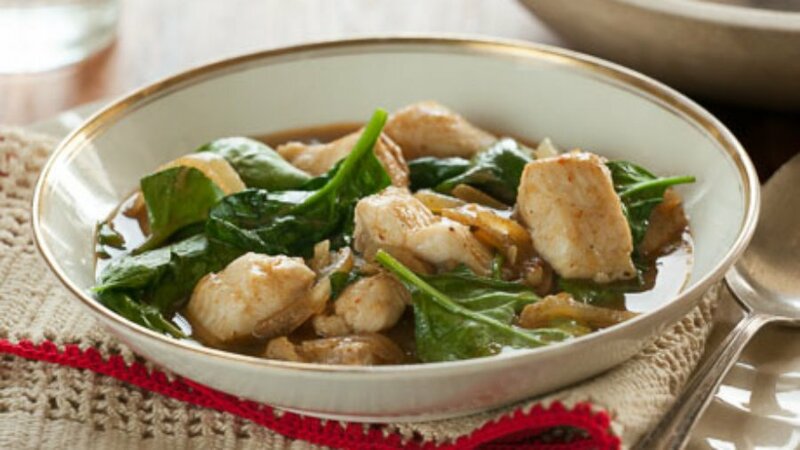 Simmer until spinach is just wilted and fish is cooked through, 3 to 5 minutes more. Sprinkle with lime juice and cilantro and serve.